$250 + actual shipping. Paypal plz. 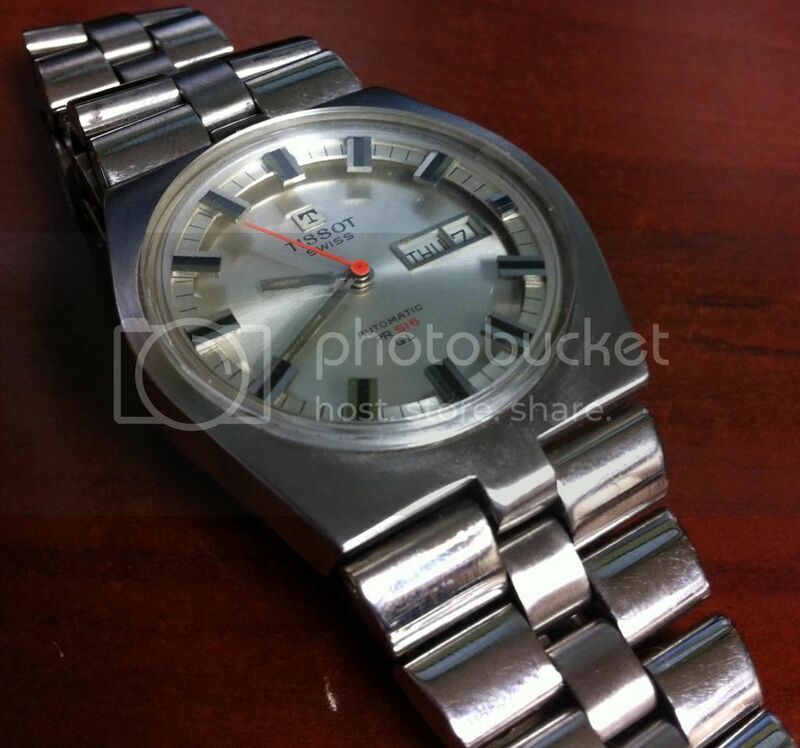 Selling my rad vintage Tissot watch. Swiss automatic movement. 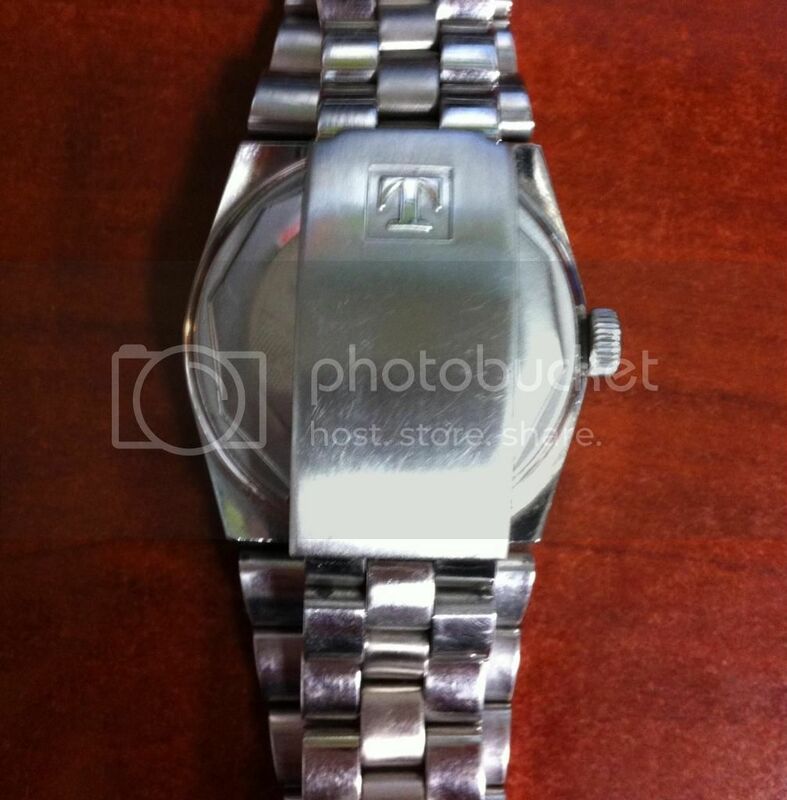 Movement was professionally cleaned and serviced recently, and the bezel was replaced. Runs flawlessly and keeps great time. Case is brushed stainless on the top and polished on the sides. Bracelet is a combination of polished links with brushed center links. It wears its age proudly, so the finish isn't perfect, but after this many years we just call it patina. Just thought I would throw in on this listing FWIW. 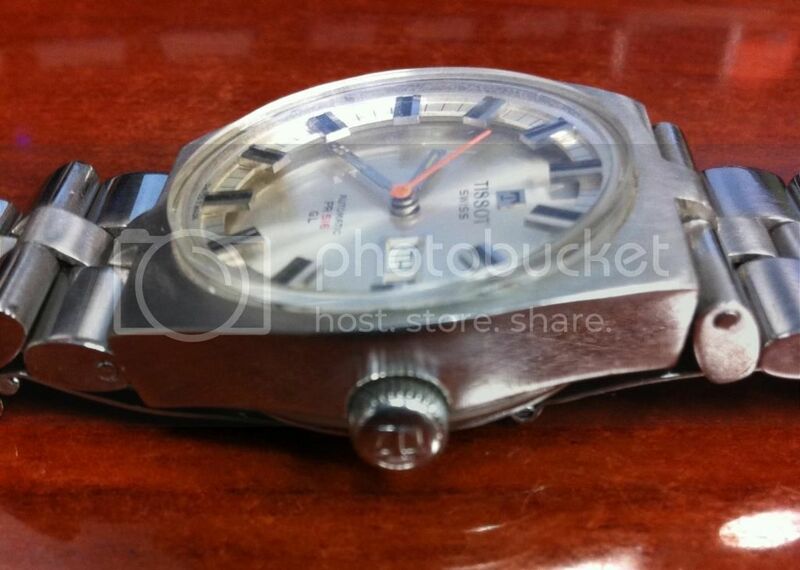 Not many people have ever heard of Tissot (Teeso), but it is one heck of a watch. I own 2 and they are about as bullet proof as a watch can get. They are heavy, thick and quite solid not to mention very accurate. My son went through basic training in the Marine Corps while wearing my first Tissot. The watch never flinched. Timex may claim, "takes a licking and keeps on ticking," but IMHO, a Tissot eats Timex for lunch. It endures shock probably better than any I've seen. If you or your work are hard on watches, this is the one to get! I'll second @adaryyl's comments. I have several coworkers who own Tissot watches and they are all very happy with them. Yep. Tissot is a legit old brand dating back to the 1850s. In the 1930s they became part of Omega, sharing movements with them through the 70s (when this one was made). Now they're owned by Swatch. Bump. Icrontian price is $210 plus shipping. Still got it for sale. Spend your Hanukwanzmas money on a rad vintage watch. Hi. Have you sold the Tissot? Looking forward to your reply. Regards. Do you still want to sell the Tissot? Hi Buddy. I keep coming back to this topic. 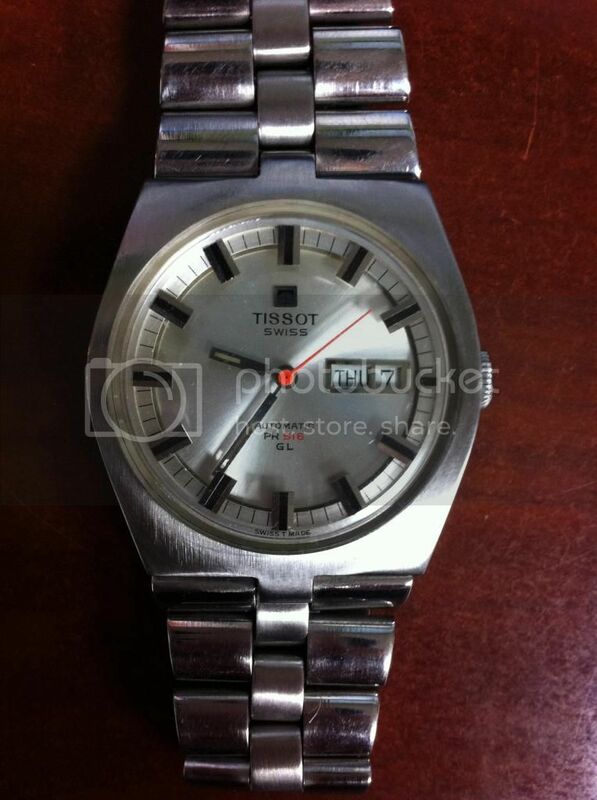 I want to buy your Tissot if you still have it. Let me know. 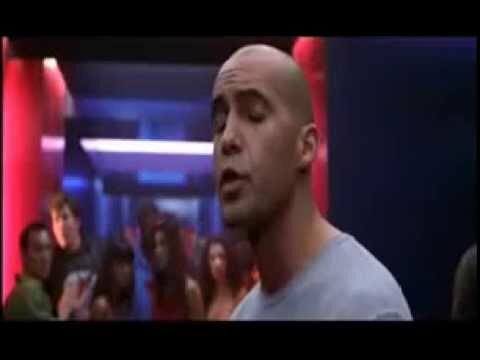 No dude. I want to buy your Tissot. Source: Already own a Ballade III and want more Tissot. Sold it on eBay a while back. lo siento. Thanks. All the best, Brian.